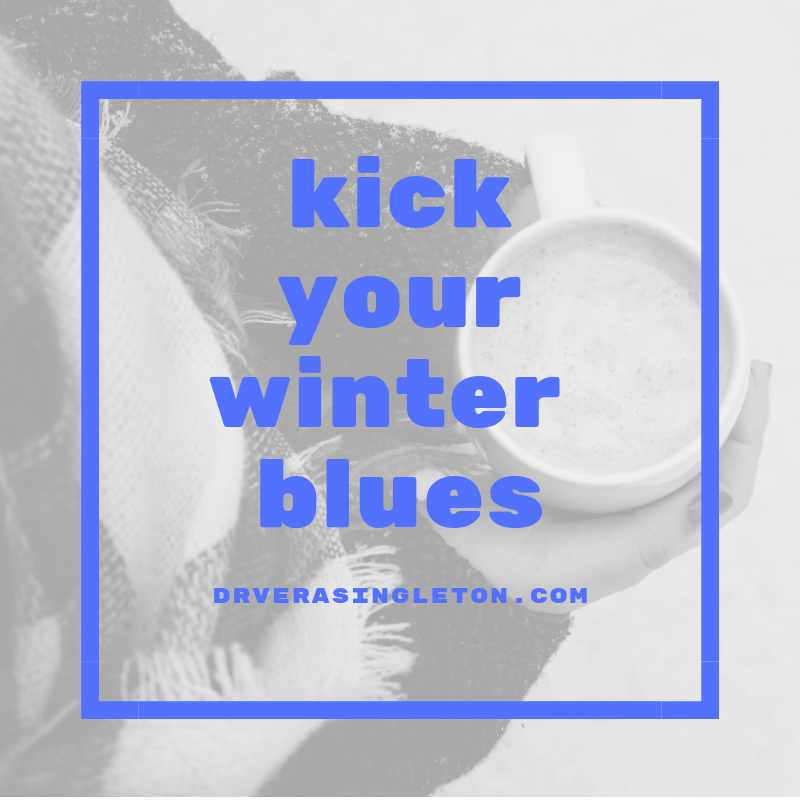 Holidays are supposed to be full of cheer and happiness, but for some of us, the combination with less sunlight, cold weather and epic to-do lists leads to a 3-4 month serious emotional struggle. Here’s Dr. Vera’s top tips of how to bolster your body with natural anti-depressants and beat the holiday blues. Get as much sunlight as you possibly can. Our body’s storage of vitamin D gets easily depleted this time of year, so take action to get your fix anyway you can, even for 10-15 minutes. I even recommend people to go to tanning salons to boost levels. Low levels of Vitamin D affects adequate production of Serotonin and Dopamine which might make you feel even more in the dumps. Make room in your life to sleep longer. Many folks make the mistake of not adjusting their lifestyle or diet with the change of seasons. Less sunlight means you may find yourself more tired or wanting to take naps. So take the time and schedule a power nap for 5-10 minutes, put on a guided meditation track for a mid-day reset, or just get to bed earlier in the nighttime. Aim for 7+ hours. Plan your holiday party recovery. If you’re like me, you’ve already had your fair share of holiday parties. Like any other drug, you WILL begin a withdrawal period from the sugars within alcohol and of course the holiday sweets you cant resist. Sugar Detox usually begins about 24 hrs after your last indulgence. Sugar withdrawal will exacerbate feeling of overwhelm and make you feel scattered with a loss of focus. The antidote? Doubling your fiber levels the next day after a holiday party, i.e. steel cut oatmeal, brown rice, using flax meal, or any high fiber cereal will help dampen the withdrawal symptoms. Don’t forget to drink more water!